Singapore is a wonderful city and a country that is extremely family friendly. It’s a fascinating place to vacation with kids or without. There are all kinds of interesting things to do and see. You need to spend at least three days here to properly revel in it all. From the epic architecture to the pristine subways, your family will love vacationing in Singapore. We’ve put together an extensive Singapore Travel Guide to make sure you know what to eat, sights not to miss, and more. Because Singapore food is all the rage right now, we will kick off our Singapore guide with Singapore foods! When I was planning out our time in Singapore everyone kept mentioning the food. Apparently one of the best parts of being in Singapore is eating the food. Now that’s not why we went, but we certainly were not going to pass up the opportunity to try out some of their food. There are many food tours available and with so much good food available you might as well make it into an event. To see the un-touristy parts of Singapore and eat like a local, try the Makkan Bus. They essentially transport passengers around to 12 different stops and suggest places to eat. Passengers can pop on and off the bus throughout the day and eat whatever fancies them the most. If there is no time to do a food tour just hit the hawker stalls. Here are some foods to be on the lookout for to try while roaming around Singapore. Laksa – Laksa is a spicy noodle soup popular in Peranakan cuisine of Southeast Asia. Laksa consists of thick wheat noodles or rice vermicelli with chicken, prawn or fish, served in spicy soup based on either rich and spicy curry coconut milk or on sour asam. Nasi Lemak – Nasi lemak is a Malay fragrant rice dish cooked in coconut milk and pandan leaf. Prata – A South-Indian flat bread made by frying stretched dough flavored with ghee, typically served with fish or mutton curry. It’s like roti. Kaya toast – Kaya toast is a well-known snack in Singapore and Malaysia. Kaya toast is prepared with kaya, a topping of sugar, coconut milk and eggs, pandan, and sometimes margarine or butter. Kaya is generally served on toast, and also sometimes on crackers. Dim sum – Yum Cha restaurant in Chinatown, $15-20 per adult. Morning dim sum – Goodwood Park Hotel. Goodwood is pricier around US $25+ per adult, but worth it. Milkshakes at Benjamin Brown’s: Benjamin Browns’s inside the Orchard Shopping Center. 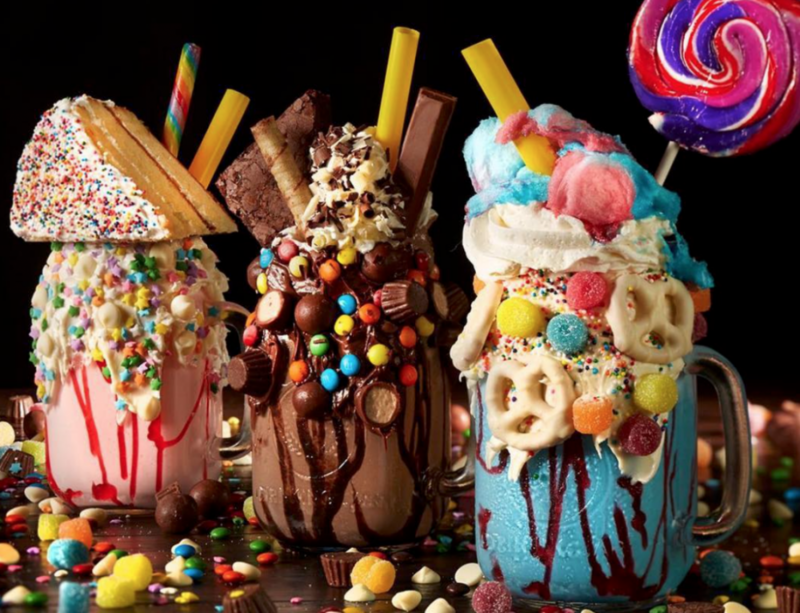 Benjamin Brown’s is a kid’s ideal restaurant, because they have totally over the top whimsical milkshakes make with things like fruity pebbles and cotton candy. The Singapore Sling was invented at the historic Raffles Hotel inside the Long Bar. You can visit any of their bars to hang out and try one. Try to have it at Long Bar for the complete experience. The Long Bar is kid-friendly, so if you can’t leave them behind bring them! In the Long Bar there’s all-you-can-eat peanuts, and they encourage you to throw the shells on the floor. Unless your kid has a peanut allergy, they will probably enjoy hanging out there making a mess while you have a cocktail. Aim to get there around 4-5pm, since after working hours, it gets crowded. Warning: these drinks are expensive, so get your one drink so you can say you did it, and then go somewhere else more reasonably priced. A Singapore Slings comes in around USD$25+ per glass. Across the street from Raffles is the Fairmont Hotel. Their lobby bar has a creative cocktail menu and the drinks are 10 Sin cheaper. My favorite area to grab a drink in is the Arab district. This is a little neighborhood full of restaurants, bars, and shops. This area is bustling day and night. At night find the alley with one bar after another. Considering how small Singapore is, it’s shocking how many things there are to do here. The costs can add up quickly, so you might want to try and bundle activities to cut some costs. You do not have to worry about avoiding any areas. Visitors are safe everywhere they go, because Singapore is extremely tough on crime. Everything is clean and well kept including the subway and it is remarkably easy to get around. Singapore Pass – Depending on which pass you pick, you can get into either 3 or 5 attractions. This includes main attractions as well. Singapore Flexi Pass – Gets you into choices like: Night Safari, River Safari, Singapore Zoo, Sky Bridge and Marina Bay Sands Skypark. The Singapore Zoo is located near the Night Safari, so if you are already out that way, you could do both at once. In which case, you could do the zoo from 2-6pm, then night safari from 6-9pm. However, if you visit in the morning you can have breakfast with orangutangs. The Night Safari is good for just about anyone, and is popular with most tourists. It costs around US$25/person for the ticket, and is entertaining enough for several hours, from roughly 6-9pm+. Kids will the up-close encounters with all the animals. The Night Safari is located about 20-30 minutes by taxi from the middle of town, so plan to spend at least $20 USD on a taxi each way. You can take the train, but it’ll be over an hour each direction + a shuttle bus. Any taxi driver will know Night Safari. 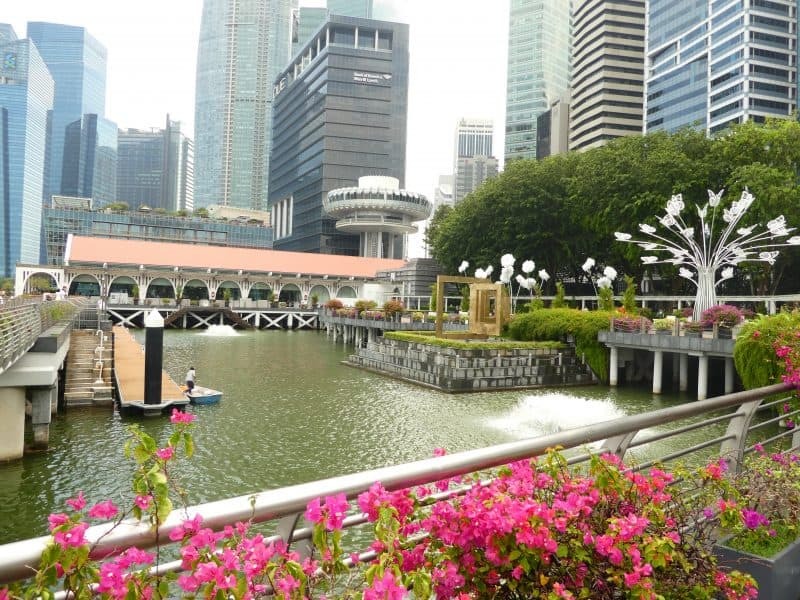 Marina Bay is an interesting area to walk around. The architecture is over the top in this area and there are all kinds of things to do and see packed into this one area. As you walk around you will see quite a bit of art. They have revolving art exhibits spread around. Race fans can see the Formula One pits and the starting line. As you walk, you will also come across their famous Merlion and the baby Merlion. The Merlion is Singapore’s most famous statue. On a nice day, which I think most days there are, they have a jumping area for kids. It’s a massive inflatable bounce playground for kids. And, if you want to do some shopping you will be happy to know that there is an over the top mall here. This is. Great spot to take a funny photo! At night catch the laser light show or fireworks if you’re lucky around 8pm nightly, in the harbor in front of Marina Bay Sands; you can have a nice cocktail and watch them from the rooftop bar called Orgo on the roof of The Esplanade, which is directly opposite MBS. Used to you could pay to swim up there, but now that is only an option for hotel guests. Although it might seem like a tacky tourist attraction, the Singapore Flyer certainly lives up to the hype. T Flywheel is the name of their large Ferris wheel. It reaches a max height of 541 feet. Besides a fantastic view of the country, you can also see the constructions going on in the area from an aerial view. On your next visit to Singapore, you can be sure that a new building or a new project has been completed at that construction sites so it is a unique experience to be able to watch that process at such height. To enhance your experience, get on the Flyer during dusk and watch the city turn dark with the glittering lights from all the building in sight. These gardens will impress anyone. People can walk around the gardens and if they like go up to the walkways in the sky. This is area scintillating at night. The whole area is an ideal place to snap some family photos. There are two domes at Marina Bay that you can tour, but if there is only enough time for one, visit the Cloud Dome. It features a large indoor waterfall that will cool you off on a hot day. You can walk around different levels throughout the dome and enjoy views of the surrounding areas. On a hot day or a rainy day families need something to do indoors. Kids will love the Bounce, an indoor trampoline park. Bounce is the largest indoor trampoline in Singapore. Kids can bounce, climb, zip line and more. Plus, parents will appreciate all the energy their child manages to burn off. Sentosa is Singapore’s island. So if you want a beach experience this is the place. They have three beaches. They’ve got water parks, cable car, and this is where you will find Universal Studios. 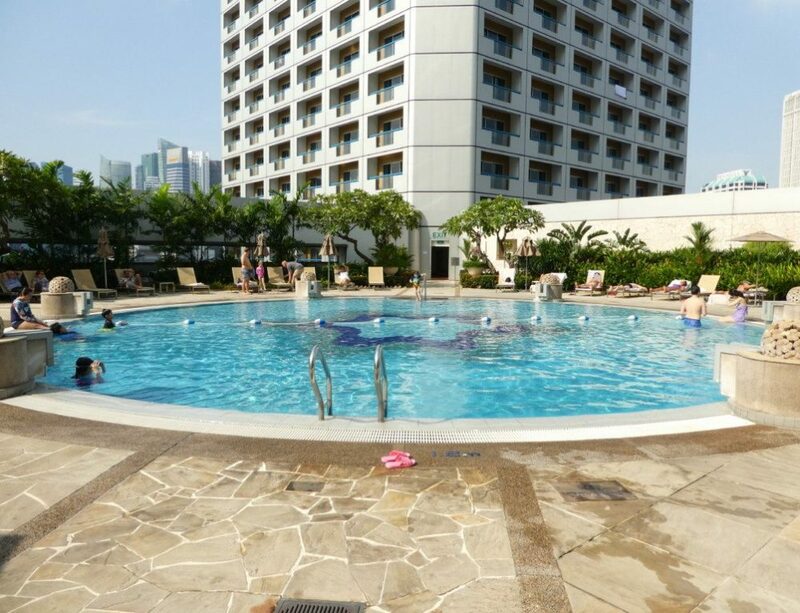 Singapore is hot and humid so make sure wherever you stay has a pool. If there is not a pool consider heading out to Adventure Cove water park out on Sentosa Island. There is a Universal Studios in Singapore out on Sentosa Island. It is quite a bit cheaper to visit this Universal than the one in the United States. One of the largest aquariums in the world featuring 800 species of marine life in a variety of habitats! Te South East Asia Aquarium was the world’s largest aquarium by total water volume from April 2013 till February 2014. The aquarium holds more than 42.8 million liters of fresh and salt water, enough to fill more than 17 Olympic size swimming pools! If the weather isn’t pouring rain or blazing hot, you can do a walk around Chinatown, Little India, Arab Street, Orchard Road, etc. These are all worthwhile, but may or may not be ideal if the weather’s not cooperating. Chinatown is good for food. Little India is good for people watching. Arab Street is good for chilling out at some of the cafes in the afternoon and they have great Lebanese food. Orchard Road is for shopping, eating, cafes, etc. Just in case you run out of things to do in Singapore, here are a few more things to do in Singapore. There is a lot of museums in Singapore. All of which are really high-tech, and pretty nice. If the kids are slightly older, that may be an option. Tucked away in the west side of the country, the Science Center Singapore is a great place for family entertainment and it features exhibitions relating to, yes you guessed it, science and technology. Be sure to check out the Omni-Theatre, an extension of the attraction where you get to watch films and documentaries in a huge 5-storey high IMAX dome screen. For those that have never experienced snow before there’s an indoor snow play place. Tired of department stores and luxury boutiques in Singapore? Head down to Far East Plaza where you can find a lot of small stores with a variety of apparel, shoes and accessories at more affordable prices. Eateries are also available when you need a break from shopping. You must visit Select Books if you are a big fan of books on Asia and Asian issues. Besides having a huge selection of (mainly non-fiction) books of various categories from or about Singapore, they also have shelves dedicated to books from around the region, particularly Southeast Asia and East Asia. Located along Armenian Street, thereís also a little cafÈ at the end of the store where you can spend quality time with your newly purchased books and sometimes they hold book-related events there. If youíre around the Empress Place area, donít overlook The Arts House. Even if you donít have time to watch a performance or film screening there, there is bound to be a visual or photo exhibition going on. At the Film Gallery outside the Screening Room, you can also know more about Singapore’s film industry. Even if the Arts are not really your thing, you might still want to visit the building that used to be a courthouse and a Parliament house. Any of these areas are pretty central still, but aren’t quite as bustling. Beyond that, you’re getting a bit out of town, so probably not ideal. Fairmont Singapore: This is where our family stayed and we really enjoyed it. The rooms are nice and large with patios that overlooked part of the city. We got adjoining rooms because there were five of us. It was nice to be able to spread out and have two bathrooms. Each morning we hit up their elaborate breakfast buffet with food from around the world. When the afternoons got too hot for us, we hung out at the rooftop pool. I liked how safe I felt during our stay here. My kids are teenagers and I had no issues, leaving them in the hotel for a few hours while I went out for some adult fun. If you stay here do be careful about the electricity. I was using an adaptor and thought that would be good enough. My curling iron got so hot I accidentally burnt some of my hair off. Hotel Clover 33: – This is the other place we stayed in Singapore it was substantially cheaper. They have rooms that can sleep 4 people in the Arab Quarter. We stayed in one of their family rooms, which happens to be a loft room. It cost me right around $200 a night. Marina Bay Sands Hotel – Stay in the heart of the action and enjoy that infinity pool! Raffles Hotel – Historic and famous! Singapore is expensive. Try to book in advance because the prices get insane the closer you get to the date of stay. It might be worth checking for Singapore specials on TravelZoo to try and find a deal. It is easy to get around using just public transport. The MRT (subway) connects all these places mentioned above with almost everywhere else. Alternatively, you can take a taxi (which is generally quite cheap), or an Uber, which will be more expensive. If you plan to take a taxi/Uber, download the “Grab” app. It’s the slightly cheaper, more readily available alternative to Uber; during peak hours, Uber can be extremely pricey. Pulau Ubin: If you are not going to a neighboring country like Malaysia or Indonesia, and they want to see something slightly more rural (and have an afternoon to spare), you can go to Pulau Ubin. This is an offshore island that still has an old-style village on it. You can rent bikes here, and enjoy cheap seafood along the waterfront. It’s quite nice, and there’s only 1 or 2 roads around the island, so you could bike for an hour or so, and not really get lost, and end up back at the ferry pier. You’ll have to take a small boat (10 minute ride+/-) to get there. It’s pretty idyllic. That said, if you are going to Malaysia or somewhere similar, then you will see this kind of thing there, so you could skip Pulau Ubin. MacRitchie Treetop Walk: The TreeTop Walk takes 1.5 to 2 hours to hike and is the found within the longer MacRitchie hiking route. It brings you through the different stages of a mature secondary forest. The first of its kind in Singapore and in the region, this freestanding suspension bridge connects the two highest points (Bukit Peirce and Bukit Kalang) in MacRitchie and offers a bird’s eye view of the community of plants and animals that live in the forest canopy. The total length of the walkway is about 250 meters and its height from the forest floor varies, with the highest point at 25 meters. The Treetop Walk gate closes at 5pm sharp. Visitors are advised to start hiking towards the bridge by 4:45 P.M. from Ranger Station to avoid disappointment. 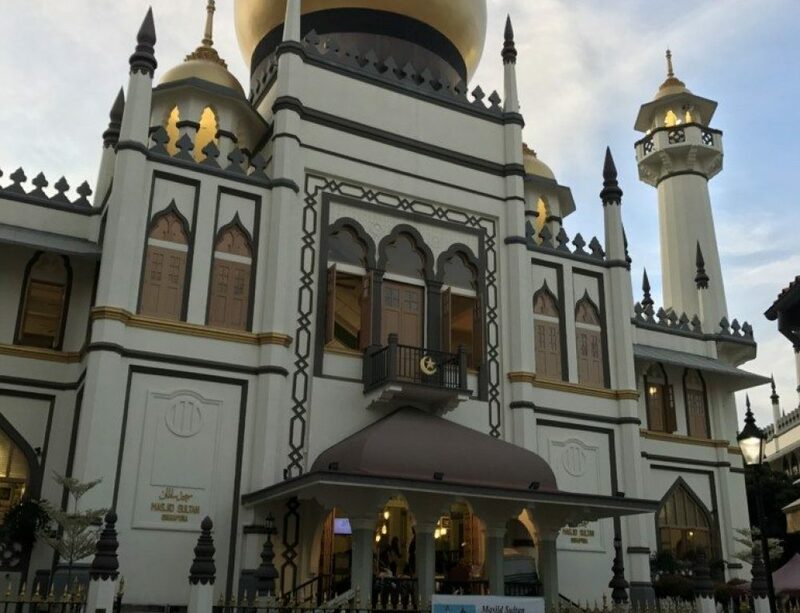 Malaysia: Okay, that might sound crazy, but it’s right next door. The weather is great all year. It is illegal to chew gum, do any kind of drug, litter and smoke in public. The currency is the Singaporean dollar (SGD). Right now, $1 U.S. dollar will get you $1.35 in Singapore dollars. If you’ve planned a full itinerary for your trip to Singapore and you cannot fit in any all the places listed, you know what that means. You’ll have to plan a second trip to discover more wonderful places the island has to offer! Do you have any advice on what to eat in Singapore or suggested activities in Singapore? I would love to know. Just leave a comment below.